? ?My company wants to advertise with Spacing: We offer both print and web advertising rates. Visit the Spacing advertising page and ask for a media kit.
? ?I want to contribute to Spacing: We are always looking for new contributors (writing, editing, photos, illustration, layout). 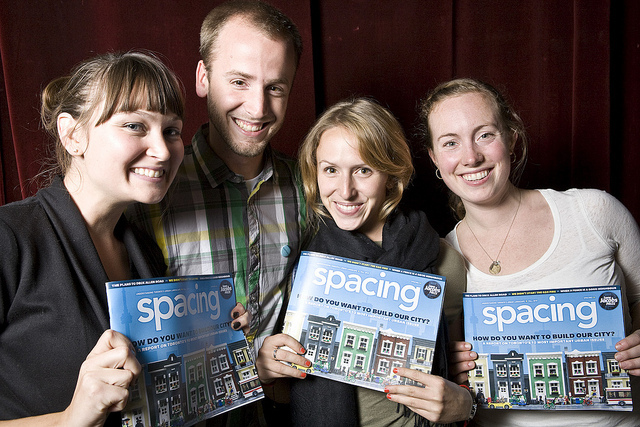 Please visit Spacing’s contributors’ guidelines page for more info.
? ?I want to talk to a Spacing editor/writer. How do I contact them? 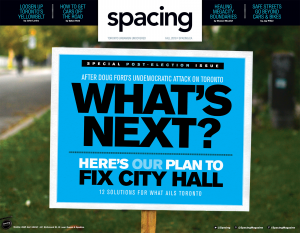 Check out Spacing’s masthead to find the correct person to contact. EVENT: Launch of Spacing's first book "50 Objects That Define Toronto"